The Top Handle and Top Plate are designed to give you a solid and comfortable grip for the manipulation of your Canon C200. 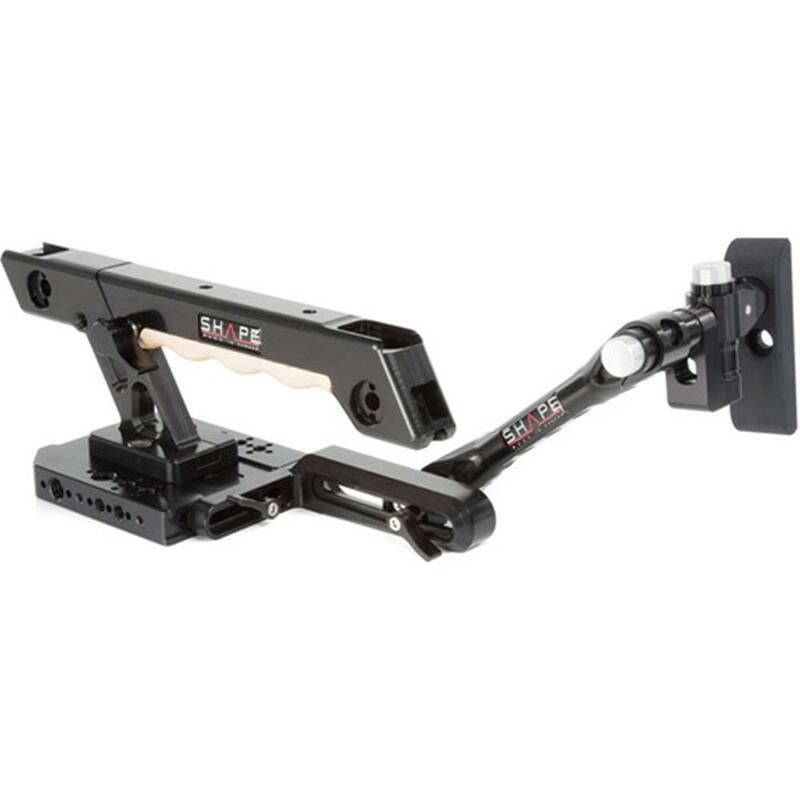 Our 'Push Button Arm with viewfinder bracket' can easily be attached to the EVF Mount of the Top Handle for an optimal set-up of your Canon C200 camera rig. Four 1/4-20 threaded holes (Front). Perfect for more attachment options. Two Hot Shoe Brackets (Front and Back of Handle). The Viewfinder Bracket Arm can quickly be mounted to the Canon C200 Top Plate with the help of a Ratchet Knob. The position of the Viewfinder can also be adjusted to your needs with the help of the ratchet knob system and our patented Push Button Technology (nothing to unscrew - Push, adjust, release, and then its lock). Lightweight and robust CNC machined aluminum plate designed to support and facilitate the manipulation of your Canon C200. The top plate offers an array of 1/4" and 3/8" threads which can be used to attach options around the camera, for example, our top handle and EVF mount bracket (also compatible with Canon's C200 original top handle). Several 1/4-20 threaded holes on top and side of the plate (Cheese Plate Style). Several 3/8-16 threaded holes on top and side of the plate (Cheese Plate Style).